Will Cadena is a photographer who combines a modern, edgy look with traditional photography. His experience has given him the knowledge of traditional photography, and the skills to know when and how to break those traditional rules and deliver a whole new look to his images, without retouching. He has been photographing clothing campaigns, high profile events, and much more for over a decade both here in the US and around the world. 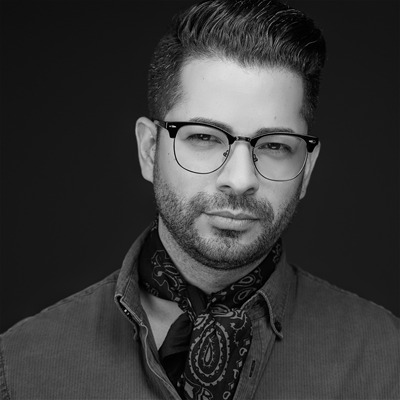 As Cadena continues to grow as a photographer, he is also growing as an educator and influential part of the photography community. He was one of B&H's featured photographers. He sees "paying it forward" as an important role of more seasoned photographers. He often talks about how he, himself continues to attend workshops because there is always something to learn. For this reason, he truly enjoys and values his opportunities to speak for some amazing companies, in amazing places! These include the Canon Experience Center in California, Album Epoca Academy in Italy, Fundy Inspiration Workshop to Inspire Disney's Fine Art photographers at Disney World, WPPI in Las Vegas, and Photo Plus in New York. Cadena is honored to represent some of the top companies in the industry, and proud to be working with some up and coming companies, as well! Some of the companies Will is associated with are Westcott, Wacom, Elinchrom, Think Tank Photo, Song Freedom, Fundy designer, Tenba, Promedia gear & Phottix.